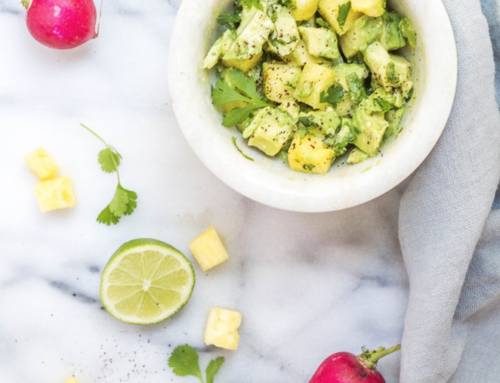 One of the most common questions I get as a 1-on-1 nutritionist, during my cooking classes and by participants of the Slim Down Detox program is which brand of a certain product do I recommend. It can often be hard, if not impossible, to know which ketchup to buy, which coconut milk, or which brand of barbecue sauce. And spending hours at the grocery store reading each ingredient label isn’t everyone’s idea of a good time. That’s why I have put together a list of my favourite clean, additive-free brands that I use at home. 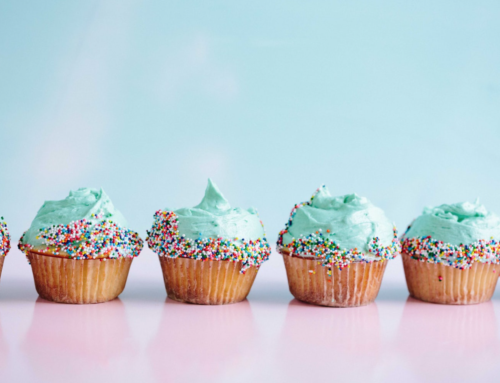 This list is by no means exhaustive but it’s a good place to start to upgrade your regular products to something better for you. 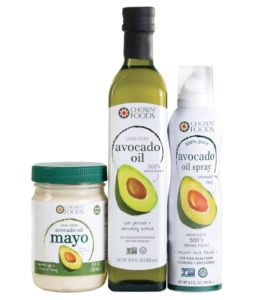 You may be able to find these products are your local grocery store, a health food store or online. I like to use Amazon because the products are cheaper and they arrive at my door step. Alternatively, for those living in Toronto and surrounding areas, I recommend Fiesta Farms at Bloor and Christie. You can find all of the products listed below and more there. 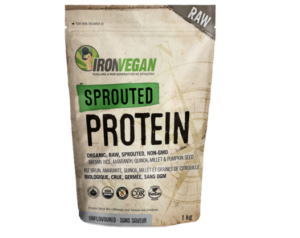 Always buy Organic superfood powders from a reputable brand. If you are buying wholesale or bulk, it’s better to purchase whole spices and grind them yourself to prevent oxidization. A reputable brand will ensure the potency of their products and test for active compounds. 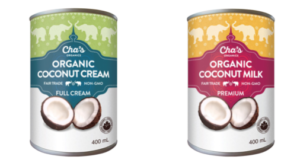 When selecting coconut milk, always look for Certified Organic, Gluten-Free, No added sugar, Preservative and sulphite free, Non Irradiated & BPA free can. Always look for Organic, raw, non-GMO. It should have no artificial flavours, colours or sweeteners in the ingredients. 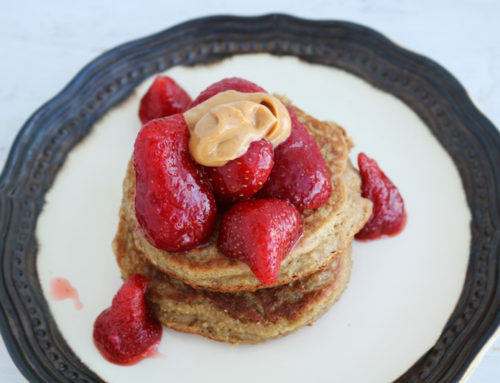 A blend of protein sources is best to avoid developing allergies. If you are purchasing a dairy-based (whey) protein powder, make sure the source is hormone- and antibiotic-free and grassfed. Always look for Organic, raw, non-GMO. It should have no artificial flavours, colours or sweeteners in the ingredients. A blend of protein sources is best to avoid developing allergies. If you are purchasing a dairy-based (whey) protein powder, make sure the source is hormone- and antibiotic-free and grassfed. 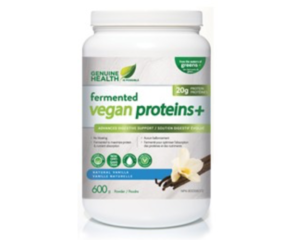 This protein powder is fermented which helps with gut-bacteria, absorption and helps to prevent gas and bloating which some people may experience from protein powders. 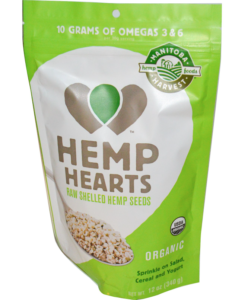 Make sure your product is certified organic and non-GMO, unrefined, Chemical-Free and made from raw hemp seeds. Best product should be gluten-, dairy- and soy-free, no preservatives, non-GMO, no colours, artificial flavours or processed sugars. 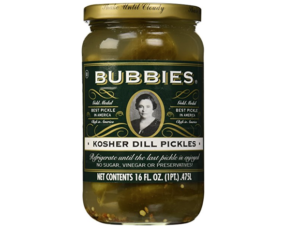 Best pickles are naturally fermented in a glass jar. They contain no preservatives or artificial flavours, and have no additives like vinegar and sugar. The sugar content should be zero grams. 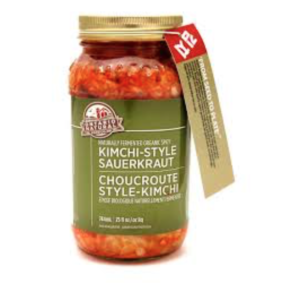 When it comes to fermented foods, look for local, natural, organic produce, no preservatives or artificial flavourings. No sugar or vinegar additives. Stored in a glass jar. This is a local Toronto company. They are no sugar to their products. 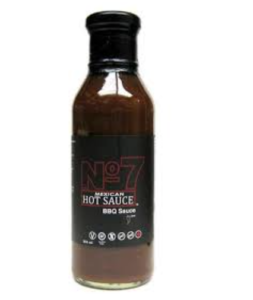 When looking for a good sauce, look for no preservatives, colours, or ingredients you can’t read. 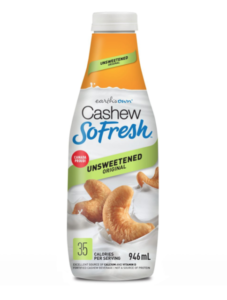 All natural and minimum sugar, in a glass container. This is another local Toronto company. Their ketchup is sweetened with dates and contains no artificial colours, sugars or flavours. 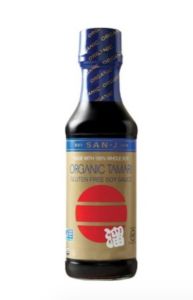 Tamari is the Japanese version of Chinese soy sauce. 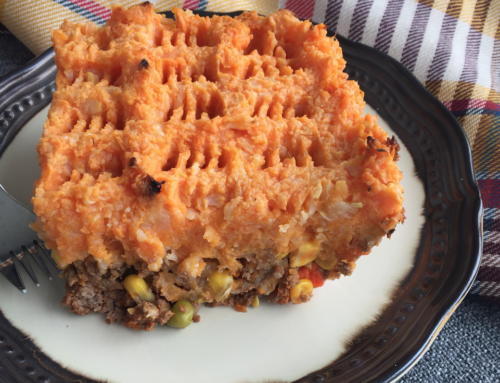 It is thicker, less salty and fermented. When selecting tamarin, make sure to look for organic, gluten-free, non-GMO, no preservatives. For a soy-free tamari version, try coconut aminos. Always look for natural nut or seed butters that do not contain any added sugar, oils, colours or preservatives. 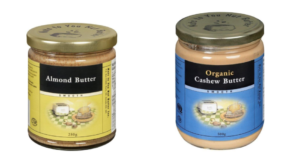 Raw nut butters are best, if possible and always organic. Always purchase organic nuts and seeds. These products are heavily sprayed with pesticides which are stored in fat molecules. Because of the high fat content of nuts, they tend to soak up and store these toxins. 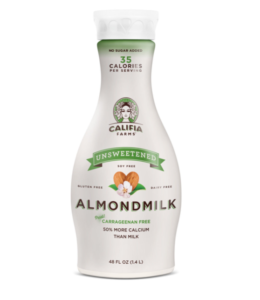 Always look for soy-free, dairy-free, gluten-free, carrageenan-free, non-GMO, vegan, and BPA-free. The ingredients list should not contain any unfamiliar ingredients. It tastes remarkably like a rich, full-bodied cup of coffee. 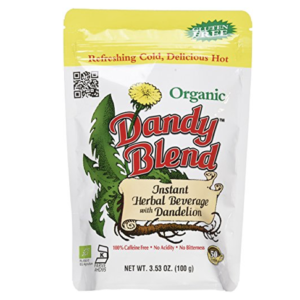 A blend of roasted dandelions, it’s caffeine-free, gluten free, non-GMO and acid free. It is also good for liver detoxification. 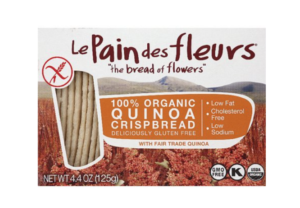 Great option for gluten-free flours like chickpea flour, oats, gluten-free baking flours, flaxseeds & quinoa. Always buy organics and unrefined. 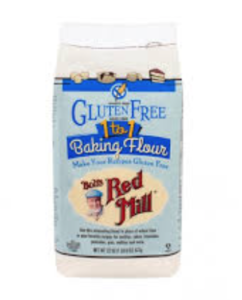 The best gluten-free flour for baking is Bob’s Red Mill 1-to-1 Gluten-Free Flour with the blue label as pictured. 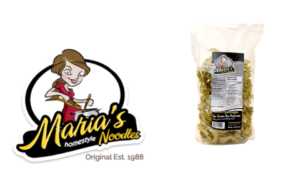 Maria’s pasta holds up wonderfully and has a great texture and flavour. When looking to buy pasta, look for organic ingredients, wheat free, egg-free (optional) and oo added artificial colours or preservatives. These crackers are light, crispy and airy and contain only two ingredients. When purchasing gluten-free crackers, look for organic, gluten-free without added refined sugar, additives or preservatives. These crackers are crunchy and hold up well to dips. 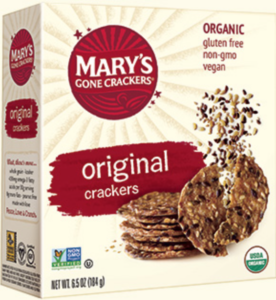 When purchasing gluten-free crackers, look for organic, gluten-free without added refined sugar, additives or preservatives. 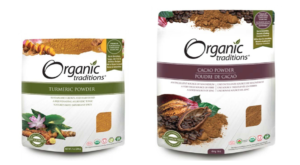 Organic and natural, with no preservatives, artificial flavours or additives. 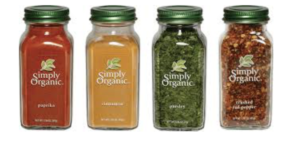 Purchase your organic spices from a reputable brand. If you are buying from wholesale, its better to buy whole spices and grind them yourself to prevent oxidation. Spices are often sprayed with pesticides and irradiated so purchase the best quality you can afford. 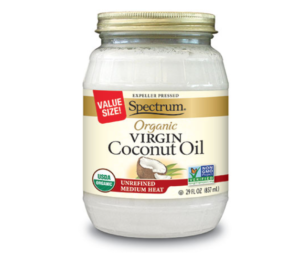 Look for unrefined, organic virgin coconut Oil, non-GMO. 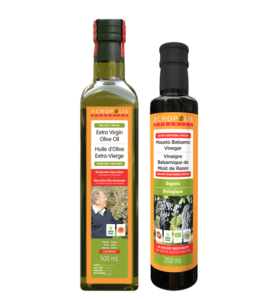 Organic Greek Olive Oil. This oil is produced on a biodynamic farm meaning no pesticides or sprays are used. The farm operates using a symbiotic relationship with the animals that live on the property to create a wholistic approach to farming. When buying olive oil, always look for non-GMO, no additives or other oils and always in a dark glass bottle to prevent oxidation. 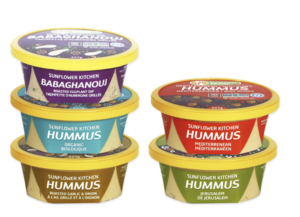 Delicious, creamy dips with no additives, preservatives or added oils. 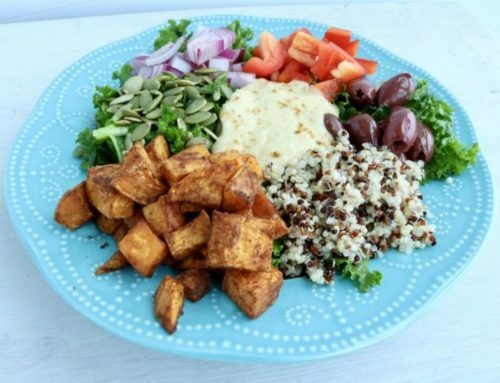 When choosing a pre-made hummus, or other dip, look for simple ingredients with no added canola or soybean oil.